Neurobehcet syndrome is the disease with multisystem involvement. It has known otological manifestations which mainly include hearing loss due the involvement of the labyrinth. Though literature reports some cases of Neurobehcet disease with facial nerve palsy, it is one of the rarest presentations. The diagnosis of neurobehcets is mainly based on the symptomatology as no definitive pathological tests are available. As an otologist is one of the first clinicians to come across a patient with facial nerve palsy, we report this case of neurobehcets disease presenting to us with an ear ulcer and ipsilateral facial nerve palsy. Behcet syndrome is a multisystem disorder of unknown etiology. First described by hippocrates, this syndrome carries the name of a Turkish dermatologist Hulusi Behηet (1889-1948), who first recognized and reported in 1937 a triad of symptoms consisting of recurrent eye inflammation, oral ulcers and genital ulcers. Though the cause of the disease is unknown it has been recognized as a multisystem inflammatory disease, producing vasculitis and manifesting mainly with ocular or orogenital ulcers. Other systems which may be involved in 70 percent of cases include pulmonary, joints, cardiac and central nervous system (CNS). Neurological complications of this disease range in 4 to 29 percent of patients, occurring more in chronic cases and behaving as a serious, relapsing remitting disorder with a progressive course. , The neurological complications of Behcet syndrome are probably related to the activity of the disease, being more common in males. The preferred neuro-imaging is a brain magnetic resonance imaging (MRI). Though NeuroBechet syndrome presents commonly with visual impairment due to uveitis; however, facial nerve involvement is a rare feature. It has been reported in literature that recurrent idiopathic facial nerve palsy might occasionally be a symptom of neurological involvement of Bechet disease. We report a case of a 32-year-old male with an ulcer in ear canal and facial nerve involvement which is a very rare presentation of Neurobehcet syndrome. A 32-year-old gentleman presented to our outpatient department with complaints of recurrent mouth ulcers since many years, pain in right ear and right-sided facial weakness with ipsilateral facial nerve palsy since 3-4 days. He also had weakness of right half of the body with sensory disturbances and double vision for last 3 months. The history of promiscuity and joint pains were present; there was however no history of photosensitivity, diabetes, hypertension or bladder and bowel disturbances. The history for trauma was also negative. He also gave history of a near similar episode in 2004 when he first developed numbness in both feet associated with weakness of both lower limbs. This was followed by painless progressive loss of vision. He was admitted in a local hospital and was given intravenous steroids. This episode recovered completely but no diagnosis was made. In present episode, on general examination all signs of right-sided lower motor neuron facial palsy were present. Rest of the cranial nerves were normal on examination. On otoscopic examination there was an ulcer in the right pinna and ear canal, which was shallow but exquisitely tender. The power on the right side of the body was decreased as compared with the left side of the body. The power in all the extensors and flexors on right side was grade 4/5 and there was no grip in right hand. The patient was thoroughly investigated. His viral markers were negative for hepatitis B and C and human immunodeficiency virus (HIV). His immunological workup showed non-significant antinuclear antibody ANA and anti-neutrophil cytoplasmic antibodies (ANCA) titres, negative HLA-B5 and HLA-B27, and negative rheumatoid factor. The cerebrospinal fluid (CSF) analysis quantified protein as 206 mg/dl and sugar as 76%. The venereal disease research labortary (VDRL) test was negative and malignant cytology was also negative. On slit lamp examination he had anterior uveitis. His pure tone examination revealed normal hearing. No granulomatous changes were found on contrast enhanced computed tomography (CECT) chest and abdomen. His sural nerve biopsy was negative for any vasculitic or granulomatous changes. A MRI Brain was done to exclude any parenchymal cause and it showed hyperintensities on T2 weighted images in brain parenchyma and pons. After these plethora of investigations considering the patient with mouth ulcers and anterior uveitis along with positive MRI findings, pathergy test was done which was positive. The patient was treated with intravenous steroids and the gentleman recovered completely. We have kept him on a regular follow-up. Inner ear and facial nerve involvement in Bechet disease was first reported by Alajouanine et al. in 1961. Since then several studies of autoimmune involvement of facial nerve involvement and inner ear have been published. Reported rates of facial nerve involvement and inner ear disease in NBD are (15-40%). NeuroBehchets disease is a rare disease and diagnosis can be reached by taking a careful history. It is important to diagnose NBD in order to monitor both neurological and systemic manifestations. 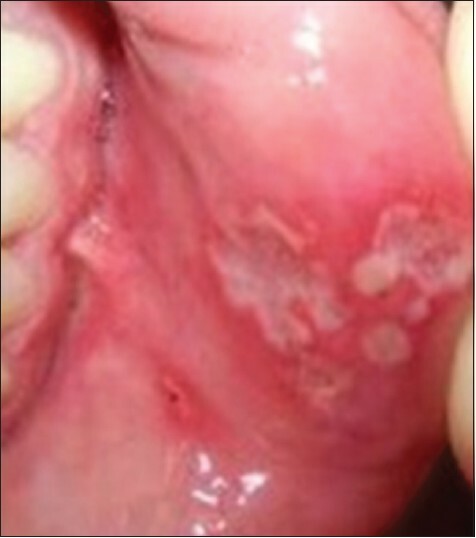 There is no specific pathological technique available for the diagnosis of this disease, although international study group criteria for the disease are highly specific and sensitive. This involves clinical criteria and pathergy test. . Diagnosis of NBD is based on clinical findings of recurrent oral ulcer, genital ulcer, including skin lesions such as erythema, acne or follicullitis inflammatory markers such as erythrocyte sedimentation rate (ESR), C-reactive protein (CRP), which may or may not be elevated, complete ophthalamic examination including slit lamp examination, visual field examination and fundus examination to assess optic disc atrophy. Cerebrospinal fluid may demonstrate elevated protein with or without pleocytosis. HLA-B5 has 2 splits B51 and B52 of which 51 in important in etiology of Bechet disease. HLA-B51 is associated with increased risk of NBD by 6 times. Oligoclonal bodies are important indicators in CSF to rule out multiple sclerosis from Bechet's disease. 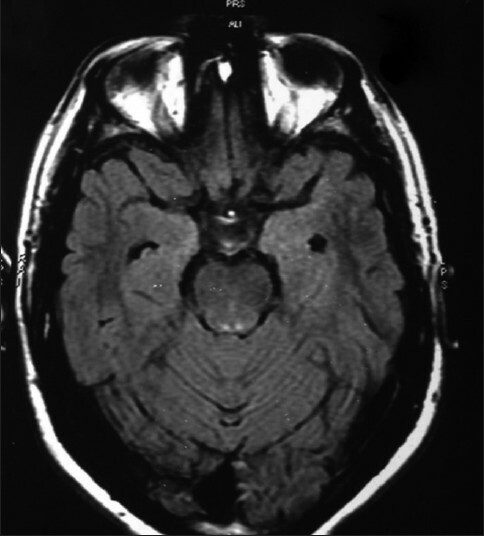 Oligoclonal bodies are absent in Bechet's disease and are present in multiple sclerosis; however, MRI remains the diagnostic modality of choice. Treatment of Bechet syndrome must be tailored to each patient's clinical manifestation. Corticosteroids are considered palliative, as they are useful in controlling acute manifestations. Cytotoxic drugs are usually indicated in patients with ocular, CNS and vascular disease. Biological medications are also being used in patients with these complications. In conclusion, the practitioners should be aware of the varied presentations of NBD for an early diagnosis and better prognosis. 1. Shannon KM, Goetz CG (1989) Connective tissue diseases and the nervous system. In: Aminoff MJ (ed) Neurology and general medicine. Churchill Livingstone, New York, pp 397-8. 2. Weiner SM, Otte A, Schumacher M, Juengling FD, Brink I, Nitzsche EU, et al. Neuro-Behçet′s syndrome in a patient not fulfilling criteria for Behçet′s disease: Clinical features and value of brain imaging. Clin Rheumatol 2000;19:231-4. 3. Akman-Demir G, Serdaroglu P, Tasçi B. Clinical pattern of neurological involvement in Bechet′s disease: Evaluation of 200 patients. The Neuro-Bechet study group. Brain 1999;122:2171-82. 4. Menassa J, Sawaya R, Masri AF, Arayssi T. Recurrent peripheral facial paresis may constitute the sole clinical manifestation in neuro-behcet disease. Neurologist 2008;14:77. 5. Al-Kawi MZ. Neuro-Behcet disease: A review. J Trop Geogr Neurol 1992;2:49-56. 6. Ghayad E, Tohme A. Behçet′s disease in Lebanon: Report of 100 cases. J Med Liban 1995;43:2-7. 7. Serdargolu P, Yazici H, Ozdemir C, Yurdakul S, Bahar S, Atkin E. Neurological involvement in Bechet′s syndrome. A prospective study. Arch Neurol 1989;46:265-9. 8. Al-Fahad SA, Al-Araji AH. Neuro-Behcet′ disease in Iraq: Study of 40 patients. J Neurol Sci 1999;170:105-11. 9. Serdaroðlu P. Behçet′s disease and the nervous system. J Neurol 1998;245:197-205. 10. O′Duffy JD, Goldstein NP. 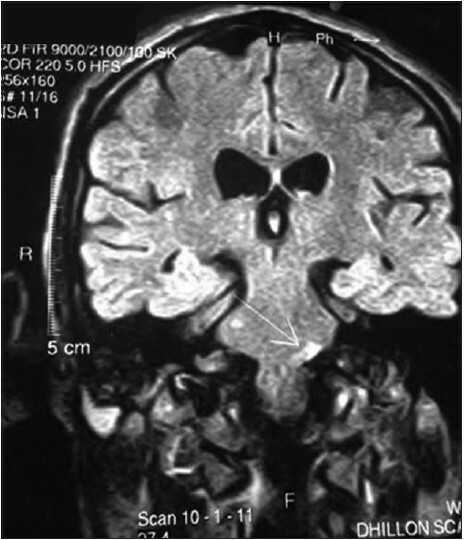 Neurological involvement in seven patients with behcet′s disease. Am J Med 1976;61:170-8. 11. Shakir RA, Sulaman K, Kahn RA, Rudwan M. Neurological presentation of neuro-Behçet′s syndrome: Clinical categories. Eur Neurol 1990;30:249-53. 12. Erdinç AK, Ugur H, Fatih O, Bahadýr B: Behçet′s disease and hearing loss. Auris Nasus Larynx; 2004; 31: 29-33. 13. Srikumar S, Deepak MK, Basu S, Kumar BN. Sensorineural hearing loss associated with psoriatic arthritis. J Laryngol Otol 2004;118:909-11. 14. Soylu L, Aydoðan B, Soylu M, Ozsahinoðlu C. Hearing loss in Behçet′s disease. Ann Otol Rhinol Laryngol 1995;104:864-7. 15. Criteria for diagnosis of Behcet′s disease. International Study Group for Behcet′s Disease. Lancet 1990;335:1078-80. 16. James DG. ′Silk route disease′ (Behget′s disease). West J Med 1988;148:433-7. 17. Hatemi G, Silman A, Bang D, Bodaghi B, Chamberlain AM, Gul A, et al. EULAR Expert Committee. EULAR recommendations for the management of Behçet disease. Ann Rheum Dis 2008;67:1656-62.